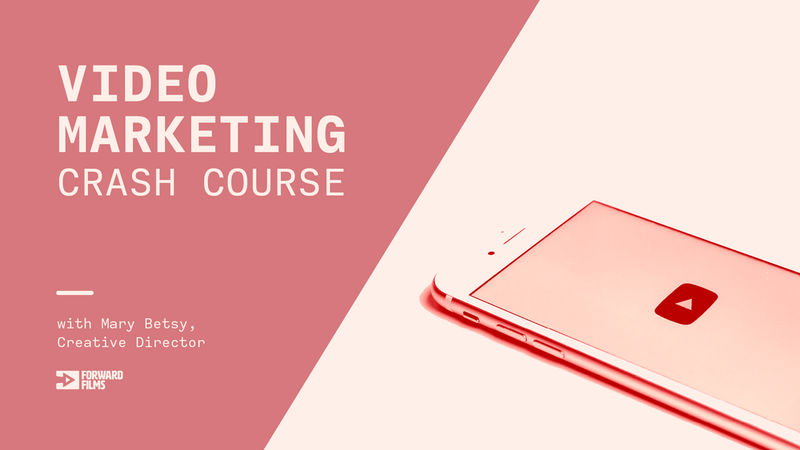 Learn how to catapult your brand using video marketing. Interested in using video for your brand, but stumped on where to start? Welcome, friend. This course is the perfect primer to get you going. With popcorn on hand, we’ll also watch plenty of case studies and send you off with a packet of video templates you can use going forward. Get experience-tested guides to help plan and share your videos. Learn simple recording techniques that will save you hours. Gain an edge with industry-leading research. This class was excellent. I gained more practical skills in 90 minutes than I did in a week-long videography bootcamp I went to a few years ago. Mary Betsy is a shameless creative weirdo with more than a decade of experience in video storytelling. A journalist at heart, her past news work has been recognized by by CNN, USA TODAY, and the Knight-Batten Awards. Today she and her husband/producer run Forward Films, a video agency that works with forward-thinking brands like Google and Startup Weekend. They also film weddings through their other company Thick & Thin Films and produce Sheleader, a show interviewing female founders.